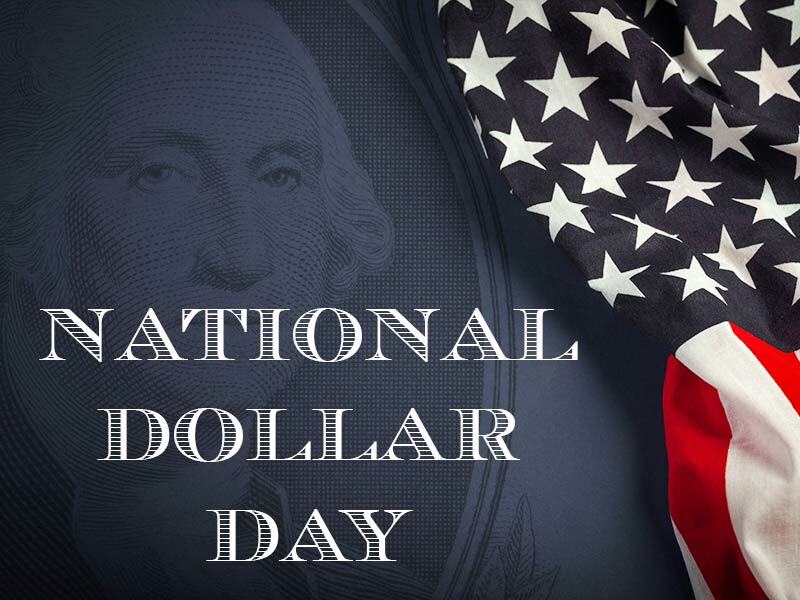 Today is National Dollar Day, which commemorates the day in 1786 when United States Congress established the dollar as the official unit of account for the federal government. University of Delaware economics professors Farley Grubb and Vincent Marra shared interesting facts you may not have known about the dollar and its 231-year history in the United States. The founding fathers’ choice of a base-10 monetary system was a surprising change and a statement on the new nation’s identity. Grubb and Marra both pointed out that in 1786, American colonists still used Spanish dollars and British pounds. The U.S. dollar was created soon after in 1792. As Marra explained, “The British pence and shilling system was essentially predicated on base 12: 12 pence make a shilling and so forth. And the Spanish system was base 8… So a lot of the discussion was, which one are they going to adopt? It took decades for American colonists to widely adopt the U.S. dollar. “The transition to, and triumph of, the U.S. dollar was slower and less certain than most scholars have thought,” said Grubb, whose research investigated the extent to which participants in the U.S. economy adopted the dollar during this time. Grubb examined labor contracts recorded in the Philadelphia region during these years and found that employers used state paper money units of account almost exclusively until 1794. These state monies were expressed in pounds, shillings, and pence. Between 1794 and 1802, pricing switched to U.S. dollars. “Only after 1797 did U.S. dollars represent a majority of the units of account used in the pricing of these contracts, and only after 1802 did U.S. dollars comprise 90 percent of said pricing,” Grubb said. The U.S. once issued larger bills up to $10,000. Today, even the $100 bill may be eliminated for its size. While the $100 is the highest-denomination U.S. dollar today, “It wasn’t always that way,” Marra said. The $500, $1000, $5,000 and $10,000 bills were discontinued in the early 1940s, Marra explained, because legislators argued that large denomination cash bills made it easier to keep illegal activities anonymous. For more interesting facts on the U.S. dollar, read the full article in UDaily. Lerner College students earning a degree in finance will learn how currency fluctuations can impact financial markets. For example, courses such as FINC 415, International Finance, examine the international monetary environment and its impact on financial planning. Other topics covered in this course include exchange rates, currency restrictions, tax regulations, direct investment theory and more.